Buckeyes have been a family tradition since I was a child. 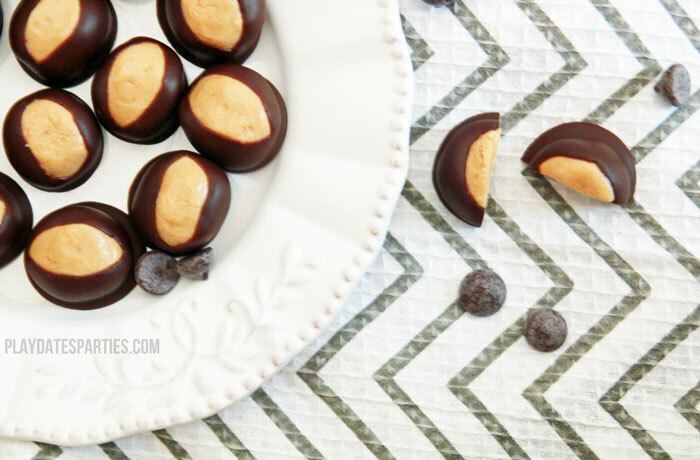 Here, I share how we learned to make the perfect Buckeyes recipe year after year. Buckeyes. I can remember looking forward to their presence every Christmas. And when they were finally made, sneaking several of them at a time. These yummy treats have been a part of my Christmas tradition for as long as I can remember. When I was little my father would make them. And when I moved out on my own, I started to make them. The Husband claims he doesn’t like sweets all that much, but then I didn’t do any holiday baking one year. The next year, he looked just the way I did when I was a kid and lamented how much he missed them. Buckeyes were first on his wish list. 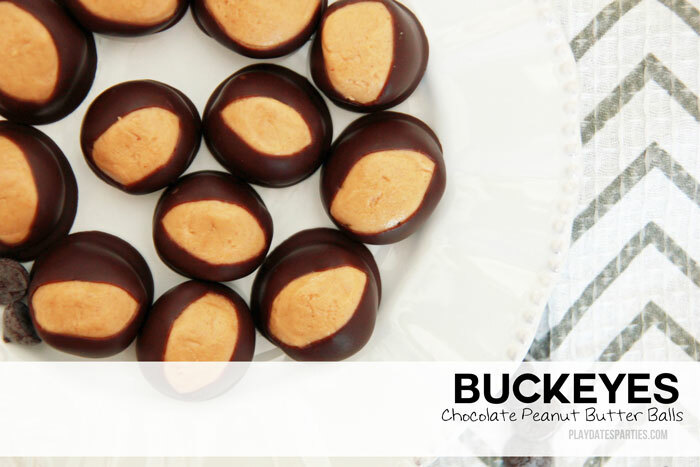 You might think that after all these years, I have an age-old recipe for the perfect buckeye. ‘Fraid not. This is more one of those add a little of this and a little of that types of recipes. I just gleefully taste the filling and adjust the peanut butter and powdered sugar until it meets whatever ‘perfect’ is that day. But that’s one of the great things about this buckeyes recipe. You don’t have to be exact about it. Well, that and the combination of peanut butter and chocolate. How can you go wrong there? Unfortunately, that doesn’t work when sharing recipes does it? So, I looked on Allrecipes and found something close enough. Then I tinkered to make it exactly what I like. But don’t get bogged down by the details with these candies. Just sneak a few tastes and adjust what’s in the bowl until it makes you smile with delight. Then you’ll know you got it right. Buckeyes have been a family tradition since I was a child. 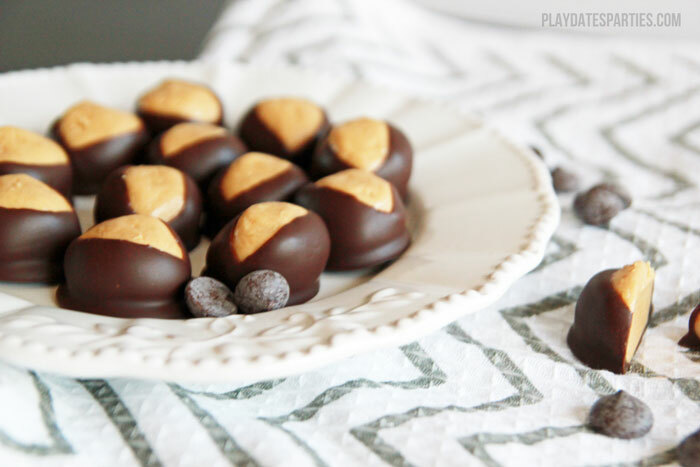 Here, I share how we learned to make the perfect Buckeye ball recipe year after year. In a stand mixer, cream together the butter, peanut butter, and vanilla extract. Slowly add powdered sugar until combined. You'll know it's mixed properly when the filling no longer sticks to the side of the bowl. Chill for at least 30 minutes. When the mixture is firm, use a melon ball scoop to form balls about an inch in diameter. Place on a baking sheet covered with parchment or wax paper. Put back into the refrigerator until firm, approximately 20 to 30 minutes. Alternatively, place in the freezer for 10 minutes until firm. Meanwhile, melt the chocolate chips in a double boiler. 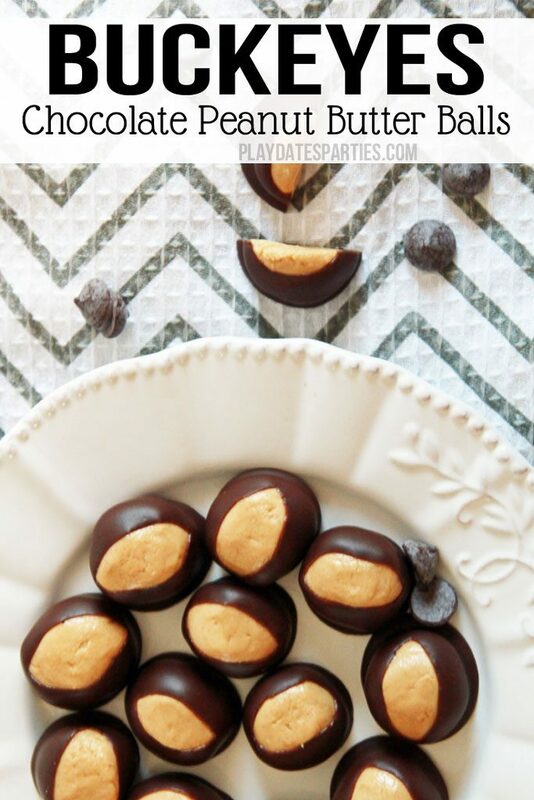 Using a toothpick, dip the hardened peanut butter balls about halfway in the chocolate mixture. 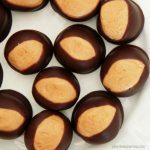 Rock the peanut butter ball side to side to create an eye shape. Don't let the peanut butter balls get too warm, or they will fall off the toothpick when dipping. Return dipped ball to a parchment covered sheet pan and gently use a clean finger to close the hole created by the toothpick. Refrigerate until the chocolate has hardened, approximately 1 hour. These are best at room temperature, but should be stored in an airtight container in the refrigerator. Don't get bogged down by the details with these candies. Just sneak a few tastes and adjust what's in the bowl until it makes you smile with delight. Then you'll know you got it right. Do you have a holiday tradition you just can’t miss? What’s your favorite childhood holiday recipe?